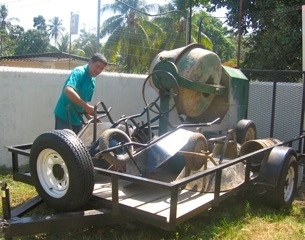 Guatemala Mission News 2012—Finally – When Will We Cry? Many of you have asked lately “where have you been? We haven’t heard from you in a while.” Please accept our apologies. We will try and do better as this new year begins. Our hearts still ache over the loss of our brother, mentor and friend, Pastor Ely but in our Lord’s strength we will continue in the work that He has called us to. Rosa and family remain committed to continue, and we know that our God is in control. As mission teams prepare here at home for their up and coming trips to Guatemala, Rosa, Eduardo and Maressa have been busy getting things ready there. Along with the maintenance, Rosa, Eduardo and Maressa spent several days recently at the coast buying construction supplies and making last minute preparations for the team coming on January 28th. Oakland Baptist, Rutledge, TN, has had at least one mission team come every year since 2005. We are so very grateful for their continued support. 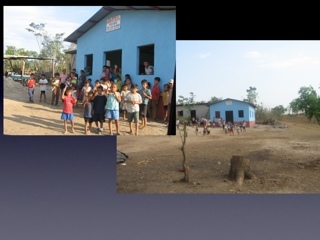 When they come this year we will be staying out at the village of Las Mercedes. Las Mercedes is in a very remote area bordering Mexico and before 2005 there was no gospel present there. Back in 2004, Ely and I nearly lost our lives there—a case of mistaken identity—but by our Lord’s grace we’ve had a church there since January 2005. The people’s hearts in Las Mercedes have been hardened by the years of war and hardship they endured. There have been many obstacles to overcome but the church is increasing by our Lord’s grace and the work of the believers there. 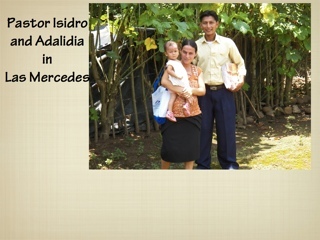 Pastor Isidro and his wife, Adalidia, have been in Las Mercedes for a year now. The team from Oakland will be assisting Pastor Isidro in a construction project, holding a Bible School and encouraging the saints. 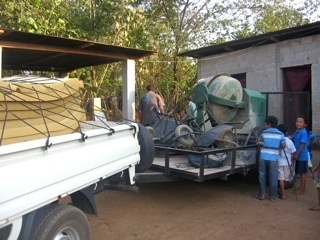 Eduardo and Maressa arrived with tools and supplies in Las Mercedes last week. 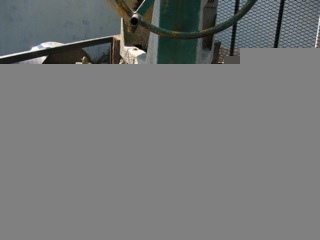 The short journey took two hours because of the road conditions. This has always been an issue in getting there. Our accommodations will be a bit sparse as we will sleep on the floor in the church and bathe from 5 gallon buckets—but it’s only for a few days. We covet your prayers as we prepare for the up coming trip. It will be our first since Ely’s passing. Please pray for Ely’s family especially his mother who recently fell breaking her shoulder.